Practice for the 2019 Life in the UK Test online and pass first time...FREE! You have 45 minutes to answer 24 multiple choice Life in the UK Test questions. You need to answer at least 18 out of 24 questions correctly to pass. Answers may be reviewed after each question or at the end of the test. Good luck! 1.1 What is the Life in the UK Test? 1.3 Who has to sit the Life in the UK test? 2.1 How do I book the Life in the UK Test? 2.2 What information do I need to book my test? 2.3 What forms of photographic ID can I use? 2.4 Do I need to take any supporting documents with me to the test centre? 2.5 Can I take the test at a location of my choice? 2.6 Can I choose the date and time of my test? 2.7 What should I do if I need to cancel or change the date of my test? 2.8 What should I do if I have a disability and I have special test requirements? 2.9 Can the Life in the UK Test only be taken in the English language? 2.10 What is the Life in the UK Test fee? 2.11 I’m not comfortable with using a computer. Can I take a written test? 3.1 What will happen when I arrive at the test centre? 3.2 Can I take a practice test before taking the real test? 3.3 Can I listen to the questions and answers? 3.4 How many questions does the Life in the UK Test have? 3.5 How long does the Life in the UK Test last? 3.6 What is the Life in the UK Test pass mark? 3.7 Can I take anyone with me to the test centre? 3.8 Will I take the test with others? 3.9 Can I take books, notes or other study material into the test with me? 3.10 What types of questions are there in the Life in the UK Test? 3.11 If I live in Scotland, Wales or Northern Ireland, will there be test questions specific to those place? 3.12 How do I know how much time I have left until the end of the test? 3.13 What should I do if I want to change or check answers I did earlier? 3.14 What happens if I run out of time? 5.1 When do I find out my result? 5.2 I passed my test! Now what? 5.3 What should I do if I fail the Life in the UK Test? 5.4 Will the questions be the same next time? 5.5 How long is the Life in the UK Test valid for? What is the Life in the UK Test? In 2005, the British government decided to introduce the Life in the UK Test, also referred to as the British Citizenship Test, to encourage people applying to settle in the United Kingdom permanently to learn more about UK society: its rich culture, traditions, structures and ways of life. Immigration rules state that anyone applying for Indefinite Leave to Remain (permanently settling in the UK) or British Citizenship must meet the ‘Knowledge of language and life in the United Kingdom’ (KOLL) requirement. As well as passing the Life in the UK Test, applicants must now also have an English speaking and listening qualification at Level B1 (ESOL Entry 3) or above. If you’re from a country where English is the national language, such as the USA or Australia, you’re exempt from this language requirement. The test consists of 24-multiple choice questions. You need to answer at least 18 questions correctly to pass (75%). It must be taken in English language. However, if you are in Scotland or Wales you can request to sit the test in Scottish Gaelic or Welsh when booking. All of the questions that appear in the test are based on official learning material produced by the Home Office. This learning material appears in a study guide called Life in the United Kingdom: A Guide for New Residents, 3rd Edition. This is available online or a hard copy can be purchased here. The test is entirely computer based and will be conducted on a computer provided by the test centre. Headphones can be used to listen to questions. According to data based on tests taken between 2009 and 2014, the pass rate is 70%. Individuals from EU member countries have a greater pass rate (86%) than those from outside the EU (68%). It currently costs £50.00 to book a test. Who has to sit the Life in the UK test? You’re over the age of 65. You’ve passed the test on a previous occasion. You’re suffering from a chronic physical or mental illness. If you have a visual or hearing impairment, you will still be required to take the test. Conditions which may be regarded as short-term, such as stress or depression, do not usually qualify as a valid reason to be exempt from the test. However, your application for an exemption will be evaluated on a case-by-case basis, so it is important you have ample evidence from a medical professional to support your request. How do I book the Life in the UK Test? You must book your test online at www.lituktestbooking.co.uk. You can call the Life in the UK test helpline on 0800 015 4245 for advice and information about booking the test. What information do I need to book my test? NOTE: Ensure the details you register with exactly matches the details on your ID documents. For example, if you have a middle name on your passport, make sure you enter your middle name when booking the test. It is not uncommon to hear of candidates being turned away at test centres because of discrepancies between the details they booked with and details on their ID documents. What forms of photographic ID can I use? Click here for more information about biometric residence permits. Click here to view more information about acceptable forms of ID. Do I need to take any supporting documents with me to the test centre? You will not be able to take the Life in the UK Test without one of the above documents, so please ensure you bring it with you. Can I take the test at a location of my choice? When you book your test, you will be given a choice of five test centres closest to your home. Simply choose the one that is most convenient for you. If you try to select a test centre that is beyond the five closest test centres, you will not be permitted to sit the test, nor will you receive a refund for your booking. Most Life in the UK Test centres are also learning centres which provide services whereby you can improve your English language or computer skills. Can I choose the date and time of my test? When booking your test online, you will be able to pick a test session that suits you. The earliest you can sit your test is usually 3 days from the date of your booking. In other words, if your booking application is made on 1 August, the earliest available slot would be 4 August. You will also be able to pick a time that suits you. What should I do if I need to cancel or change the date of my test? If you can’t attend the test session you book, you must sign into your Life in the UK Test account, select the ‘Confirmed tests’ option and then select the ‘Cancel tests’ option. To be eligible for a refund, the cancellation must be made 3 days or more before the date of your test. The refund will be credited back to the debit or credit card you used to book the test. You can then proceed to rebooking your test on a suitable date. What should I do if I have a disability and I have special test requirements? 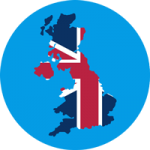 The Life in the UK Test is available in different formats or styles to allow people with disabilities or special needs to take the test. When you’re booking the test online, you’ll be asked whether you have any special requirements. If you do, you will be asked to fill in a special arrangement booking form in which you need to specify your special request and provide any additional information regarding your requirements. It can take up to 4 working days to make arrangements for your request. Someone will then contact you to confirm whether your request can be met or not. Please note, people with some disabilities are exempt from taking the Life in the UK Test altogether. Can the Life in the UK Test only be taken in the English language? Yes, but with a couple of exceptions. If you’re taking the test at a test centre in Wales or Scotland, you will have the option of sitting your test in Welsh or Scottish Gaelic. What is the Life in the UK Test fee? It costs £50 to book the test. This payment needs to be made via debit or credit card when booking your test. If you don’t have one of these, a pre-paid credit card can be used. I’m not comfortable with using a computer. Can I take a written test? No. The Life in the UK Test is entirely computer based and must be taken on a computer at an official test centre. Only basic computer skills are required to complete the test. If you’re not comfortable with using a computer, you should practice using a keyboard and mouse to build up your confidence before taking the test. If you haven’t got access to a computer at home, there are many places which provide computers to use, such as the local library. Some libraries and council initiatives also offer computer training, so it may be a good idea to look into any computer courses being offered. A number of the organisations where the test centres are based also offer various courses and training. These may be specialist training providers, further education colleges, adult education centres or voluntary organisations. Training for individuals who are new to using computers is often free of charge. What will happen when I arrive at the test centre? First and foremost, ensure you arrive at the test centre at least 30 minutes before your test is due to start. If you arrive with less than 5 minutes remaining, you may be prohibited from taking the test. Give yourself some breathing space in case something goes wrong. When you arrive at your test centre, you will be sat in a room with other people taking the test. The test supervisor will then proceed to register your details. You will be asked to provide the ID you used during your registration along with the supporting document that states your name and address. Without these documents, you will not be able to take the test nor will your test fee be refunded. This registration process may take a while as there may be many candidates for the staff to register. You will then be told the rules and regulations of the test. You won’t be allowed to bring any belongings into the test with you. If you have any bags, books or study material, you must put it in a locker that will be provided. Your mobile phone and other electronic devices must also be put into the locker. If it can be avoided, try not to bring too much with you to the test centre. If you need to go to the toilet or get some water, do so now because you won’t be able to leave your seat once the test starts. You will then be shown to a computer on which you will take your test. You will need to place your ID on the desk and wait until the other candidates are ready at their test stations. Test instructions are also displayed on the privacy wall of your desk, for your information. Can I take a practice test before taking the real test? Five minutes prior to the start of the test, you’ll be able to complete a practice test, consisting of 4 questions. This will allow you to get to grips with the test software and get used to the user interface. Before taking the practice test, your supervisor will log into the test software at your station and verify your details on the computer. Once you’ve finished the practice test, click the Take Test button to begin the official Life in the UK Test. Can I listen to the questions and answers? Yes, there is equipment available that will allow you to listen to questions and answers. How many questions does the Life in the UK Test have? The test consists of 24 questions. How long does the Life in the UK Test last? You will have 45 minutes to complete the test. It is imperative you don’t rush as you are given plenty of time to finish. You should have enough time to think carefully about your answers and to double check them before the end of the test. What is the Life in the UK Test pass mark? The pass mark is 75%. You must get at least 18 answers correct to pass. Can I take anyone with me to the test centre? You’re not allowed to take family or friends into the test room with you. They may be able to wait for you at the reception. Will I take the test with others? You will be taking the test with about 15 other people, although this depends on time and location. Can I take books, notes or other study material into the test with me? No, the Life in the UK Test isn’t an open book exam. Any books, notes or study material must be left at home or put in a locker before the start of the test. Mobile phones and other electronic devices must also be turned off and put away. What types of questions are there in the Life in the UK Test? All questions in the Life in the UK Test are multiple choice. You will encounter four different types of multiple-choice questions during the test. You will be required to select at least one correct answer, depending on the question type. The following examples demonstrate the different types of question. Please note, these are not real test questions. The first type of question will ask you to select one correct answer from four options. Gaelic is spoken in parts of which country? The correct answer is Scotland. In this question, only one answer needs to be selected. To select an answer, click on the white circle next to your chosen answer. A black dot will appear in the circle to indicate your answer. If you have clicked on the wrong circle in error, you can change your answer by clicking on the correct circle. For the second type of question you need to select two correct answers from four options. Both answers must be correct to get a point. Which TWO sports were invented in the UK? For the third type of question, you have to simply decide whether a statement is True or False. Is the statement below TRUE or FALSE? The Diamond Jubilee of Queen Elizabeth II, marking her 60th year as queen, was celebrated in 2012. For the final type of question, you need to choose the correct statement from two options. Which of these statements is correct? The correct answer is Balmoral Castle is currently one of the residences of the British Royal Family. If I live in Scotland, Wales or Northern Ireland, will there be test questions specific to those place? The test questions will be based on the information presented in Life in the United Kingdom: A Guide for New Residents, 3rd Edition, which is the official study guide for the Life in the UK Test. The test will also include questions specific to the part of the UK you live in – England, Scotland, Wales or Northern Ireland. All of this information will be in the study guide. How do I know how much time I have left until the end of the test? The test has a timer which counts down 45 minutes from when you start the test and shows you how much time you have left until the end of the test. What should I do if I want to change or check answers I did earlier? To the top of each question, there are boxes to indicate which questions you have answered and which questions are still outstanding. To the bottom of the screen, you will see Previous question and Next question buttons. Clicking these will allow you to navigate through the questions. You will also see a Questions left to answer reminder at the bottom of the screen, informing you of the number of questions you have left to answer. Questions answered refers to the number of questions you have completed. If you run out of time, the test will automatically end and you won’t be able to select anymore answers. However, the vast majority of candidates finish with plenty of time to spare. If you have practiced the mock tests on this website and have used the study tips to effectively work your way through the study material, you should be well prepared. The Life in the UK Test is simply a test of knowledge; its questions have not been designed to trick or confuse you. Following are some tips that will help you to pass the Life in the UK Test. The most important piece of advice is that you should try to stay as calm and relaxed as you possibly can. Stress can affect concentration, resulting in mistakes. Remember, if you do happen to fail your test, you can take it as many times as you need to until you pass. When booking your test, make sure you’re careful to enter the correct details. Plan your journey to the test centre so that you arrive with plenty of time to spare before the test begins. Aim to arrive at least half an hour early. Get a good night’s sleep before the day of your test. Your memory functions better when you’re well rested. Eat a healthy meal on the day of your test. Avoid eating a large, heavy meal. Make sure you’re well hydrated before the test and take a bottle of water with you. Dehydration affects the performance of your brain. Use the toilet before the test if you need to. Remember to take the required documents that you need to present to the test supervisor at the test centre. Ensure your personal details are entered correctly into the system; it is your responsibility to make sure these details are correct. Listen to the instructions carefully before the start of the test. If there is anything you do not understand or are unsure about, ask. The supervisor is there to help you. Make sure you do the practice test before the start of the official test. This will give you a chance to get a feel of the test and how it works. Once you start the test, read each question carefully and make sure you fully understand what the question is asking. Make sure you select an answer for each question, even if you’re not sure it’s correct. There is a chance you will get the answer correct, even with a guess. If there are only 2 possible answers to the question, you have a 50% chance of answering correctly. If a question has 4 options and you don’t know the answer, try to eliminate the options which are obviously wrong. This will narrow down the alternatives and increase your chances of getting the answer right. Plan your time wisely and refer to the timer on the screen when you need to. Keep in mind that the vast majority of people complete the test using no more than half the allotted time (about 22 minutes). The test lasts 45 minutes, so you don’t need to rush. Don’t spend too much time on a single question. If you find yourself struggling with a question, leave it and revisit it after answering the questions you’re able to. If you don’t know the answer to the question, take a guess and don’t worry too much. Remember, you’re allowed 6 incorrect answers. If you find yourself getting nervous, stop for a few moments, refocus and carry on. Know that if you prepared sufficiently, you’ll pass the test. If you don’t pass, it’s not the end of the world. When do I find out my result? You get your result on the same day as your test. You will be informed of your result shortly after finishing the test whilst you’re still at the test centre. I passed my test! Now what? After passing your test, you will be presented with a printed pass notification letter which you will need to sign before leaving the test centre. NOTE: Your Life in the UK Test pass notification letter is very important and must be kept in a safe place until you are ready to fill in your application for UK citizenship or indefinite leave to remain (ILR). If you’ve lost your pass notification letter, you won’t be provided with a replacement. Call the Home Office on 03001 232 253 and they’ll advise you on what to do next. What should I do if I fail the Life in the UK Test? You will need to wait at least 7 days before you can book another test. The notification letter you receive after the test will inform you of where you went wrong, so you know what you need to improve on for next time. If you found that you answered a large number of questions incorrectly, you may want to spend a larger amount of time going over the study material, doing more practice tests and filling in any gaps in your knowledge. Will the questions be the same next time? No. For each test, 24 questions are chosen at random from a bank of 400, so every test is different to the last. How long is the Life in the UK Test valid for? Once you have passed the Life in the UK Test, there is no expiry date and it remains valid indefinitely. © Copyright Lifeintheuktest.net 2019. All Right Reserved.